Is there anything from Macaroon that isn’t drool-worthy or awesome or wantable? 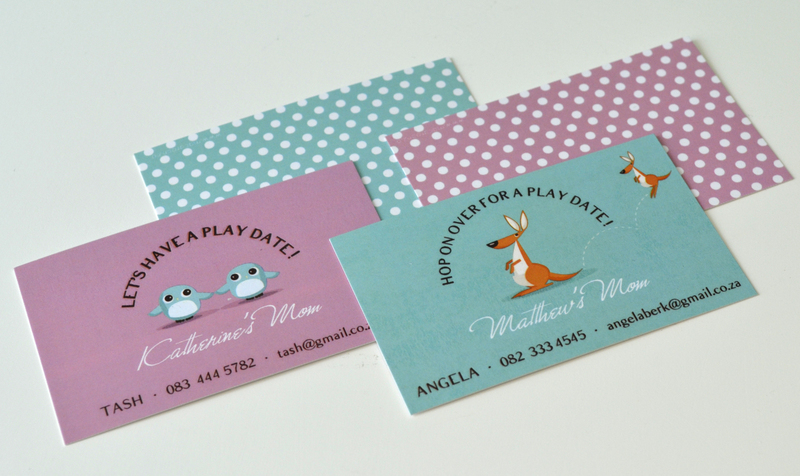 Introducing the latest offering on www.macaroon.co.za – Mommy Cards! 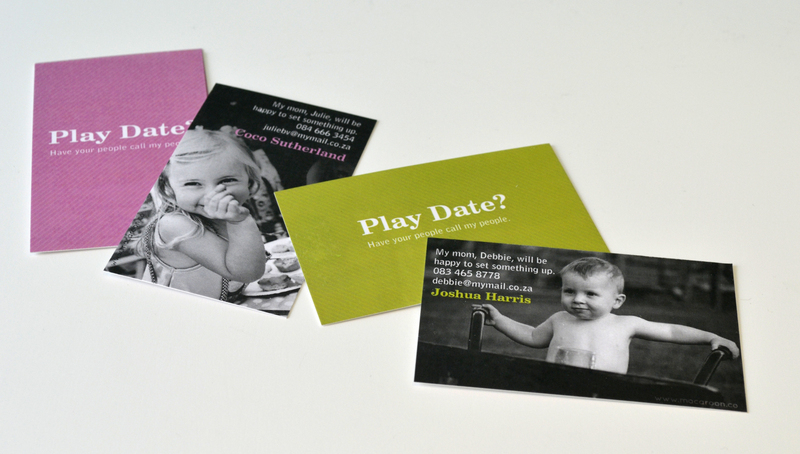 You can choose your own wording, colours and pictures, and you can use your mommy cards to exchange with other moms (for playdates etc), or for work. The awesome gals at Macaroon, who I met in real life recently (and who are as dynamic and creative as their products), are giving away one set of Mommy Cards worth R500 (there are 175 cards in each set). To enter to win, comment below – make sure you’re a subscriber to this blog, and that you have liked the Macaroon Facebook page in order to be entered. If you post this win to Facebook or Twitter, you’ll get another entry. To order and for more of the most beautiful and stylish stationery, go to www.macaroon.co.za (amazing place for Christmas gifts too). Good luck! Winners will be announced this Friday, 21 October. pick me! pick me! I’m a huge fan of macaroon!! Macaroon is, in a word, delicious. I have liked the Macaroon FB page! I am loving them!! shared to fb and twitter!! Oh wow! These are so awesome 🙂 I would love to win the Macaroon Mommy Cards!!! Another glam original by Macaroon! Beautiful – followed and liked. I love and I want.